As a result of s new boiler installation recently I wanted a smart thermostat as part of the installation. I’ll be honest that I’m a bit of a Google fan when it comes to smart things, and having looked at various devices decided Nest, with it’s Google heritage, was the one I wanted. 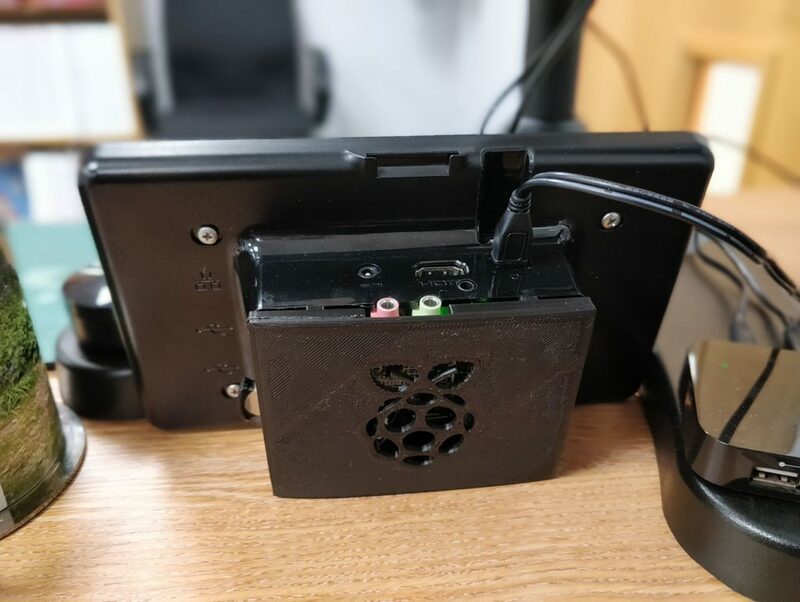 The Wolfson Card I fitted here prevents fitting of the original rear case cover, so I drafted up a quick design in Tinkercad and a work colleague 3D printed it for me. The design is shared on Tinkercad, so feel free to use and modify for your own use. My next plan is to place a diffuser behind the logo and illuminate it with some LED’s. Recently I did some measurements on the Wolfson card to get an idea of the dynamic range. When playing a 24bit file @ -100dBfs there was no output from the card. This was perplexing, as the noise floor is some 20-30dB below that. I set about making an amplitude sweep test file, sweeping from -60dBfs to -144dBfs and then playing that back on the Wolfson. At -90dB the output would vanish!